Looking at the pictures and reading the sea stories on this web site can certainly bring back memories but they are hard to share with others who were never on a sub. 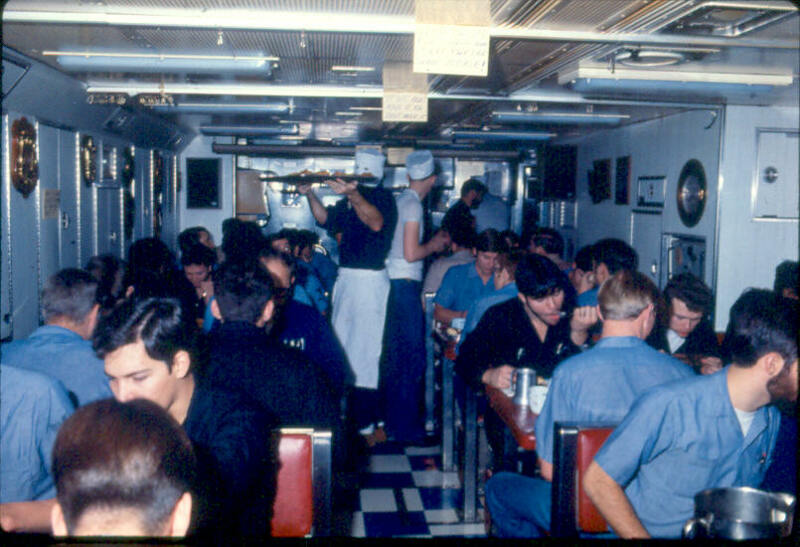 But something you can share with them is a sampling of the "great" food experienced on a submarine. 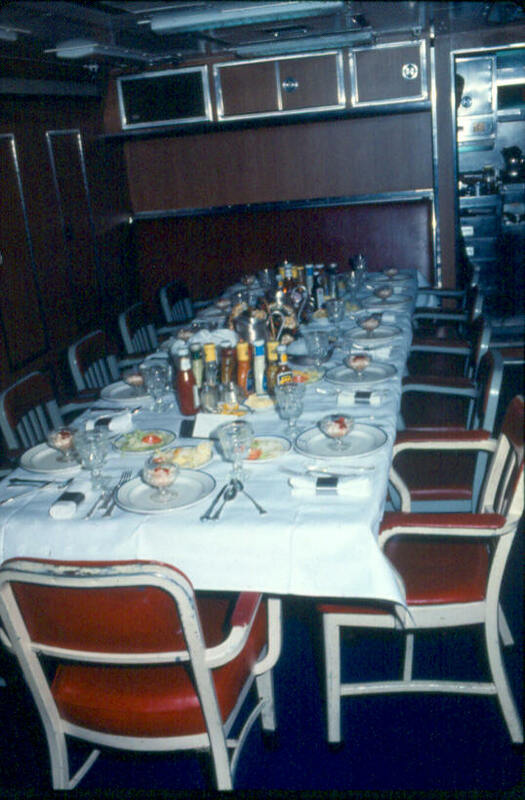 I found these memorable recipes on Ron Martini's submarine web page. I have added a few comments of my own below to make it more of a true submarine experience but give them a try. They are simple to make and will fill your home with the aroma of middle level ops on a Sunday morning. To make it really authentic, start by putting on a stained, formerly white T-shirt. Stay awake for the 24 hours prior, washing the same coffee cups over and over. Scrub the kitchen floor on your hands and knees with a greenie pad and the worst smelling detergent you can find, then wake your family an hour before you start cooking and make them wait in the cellar. Then start making breakfast using one of the recipes below. When it is just about ready, call your family up from the cellar but make them use a ladder instead of the stairs and make sure they step on each others hands. Swear at everyone you see. Now it is a real submarine experience for all. Brown and chop up about a pound of hamburger. Drain off any excess grease (leave it for a more authentic meal). Let cool slightly. In a plastic bag, put a cup of white flour, salt & pepper, and garlic powder to taste. Put the hamburger in the bag with the flour mixture, twist the top, and shake until all the hamburger is covered with the flour mixture. These recipes, except for the words in italics, are real. Give them a try. My kids are still gagging. 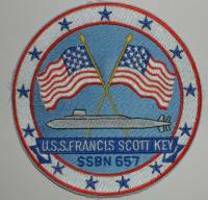 If any of the MS guys out there have any other sub recipes they would like to share (like sticky buns or dynamited chicken - yum), please send them along to ssbn657@comcast.net. Below are a couple of pictures of the mess areas on the Key - and my attempt at S.O.S. Crews Mess and Ward Room on the Key. OK, I made the S.O.S. for breakfast this morning and it tastes like S. I have a few suggestions. First, I did not use 1lb of hamburger but 1/2 pound because I knew no one else in my family would try it. I used a cup of flour as directed in the instructions. I should have used much less. After frying the hamburger and putting it in the plastic bag and mixing it with the flour and garlic powder, I dumped it into a pan with a cup of milk. The excess flour made the mixture as thick as mud so I kept adding milk to get it to a mixture I could at least stir. I would recommend using only 1/2 to 3/4 cup of flour and just a dash or two of garlic powder. You can always add more garlic later but you can't take too much away after it is in the mixture - take it from me! After those corrections, it wasn't bad at all. To prove I actually did make it, see the picture below. Now doesn't that take you back to the good old days on the boats. Well, I'm off to the head - Courtesy Flush!! !